Although many people want to recapture or hold onto their youth, it’s just not possible. However, you can take positive steps to help make your “golden years” healthier and more enjoyable. 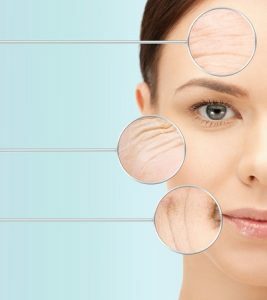 If you make some of these lifestyle modifications, they will surely work in your favor and prevent aging signs. Several studies show that sun is the number one cause of wrinkles. While you still should be able to enjoy the outdoors, we suggest staying indoors when the sun is the strongest. Also, try to get into the habit of wearing sunscreen every time you go outdoors with a high enough SPF. Hydration is another major cause of excessive wrinkles. If you want your skin to stay moist and elastic, you need to constantly supply it with water. If your body experiences a loss of hydration, it will show in your skin in several ways such as dryness, tightness and flakiness. Sleep is essential in reducing the aging process since it restores and rejuvenates the body and mind. When you sleep, skin cells can regenerate and facial muscles which create lines during the daytime, can relax. If you get enough sleep on a regular basis you might just wake up younger! Nothing keeps wrinkles at bay better than moisturizer. The key to complexion perfection? Keep your skin’s cells plumed with moisturizer. All of our products at Soy of Life are formulated with age-defying botanicals, peptides and pure plant extracts. Our Antioxidant-rich Facial Collection is designed to fight free radicals, combat wrinkles and reveal a smoother, more youthful complexion. Shop all of our facial care products now so you can get a jumpstart on your quest to reduce aging or call Soy of Life today to learn more at 877-SOY-FOR-U.